Last edited by Valdemaras; 2018-07-30, 09:13 AM. At the moment this one not possible to add due to it's new android version, but we are working on it and hopefully there will be solution to convert this mobile as well. Picked update file: "VTR-L29 C432 B171.cnv"
Looking for device in fastboot mode. No fastboot devices found. Connect device and try again. Apparently fastboot partition completed writing and boot partition failed writing. After the app finished writing and sent the final reboot command to the phone, it is a brick. Blank screen, no response to any of the Huawei button combinations. No devices showing up when it is connected via USB. - If a partition fails to write then perhaps the app should not auto-reboot the phone so there is still a chance to save it. - Perhaps some improved pre-validation of partitions before writing to them? .. IDK if this is relevant. So anyway, I now have a seemingly total brick. Any button combination held for up to 60 seconds produces nothing. Any suggestions about how I might be able to recover it? Today i attempted to turn a Huawei P10 VTR-L09C432B171 into a VTR-L29C432B171. After starting the process and as it was extracting all of the partitions, it ran up on USERDATA partition and froze at 0% . I eventually had to kill the process as it wasn't using any disk or memory and seemed like it had failed. Turned off device, and restarted expecting a bricked device. device is now a ONYX D188L29 ? Not update-able as it says this is the last version . Phone doesn't appear anywhere in device manager? Thoughts would be l09 is a single sim and l29 is not. Your probably need to flash full stock rom into your mobile. I forgot to say that was my original Goal, to turn the L09 to a L29 because that would activate the dual sim feature that is somehow blocked off by the L09 Firmware. So that's what i intended to do. Eventually i got Firmware finder's proxy to work correctly and instead of running to the safety of a stock rom, i decided to upgrade this weird ONYX D188L29 to the Full latest Rom available to a VTR-L29 with Android 8.0 and EMUI 8.0, to try and finish the process while i was at it...managed to upgrade to it and all is seemingly running smoothly, but Incredibly, even though i'm running a full VTR-L29 ROM second sim still doesn't work...out of ideas to make second sim work on a L09 ....could it be all I've seen posted is a urban legend? 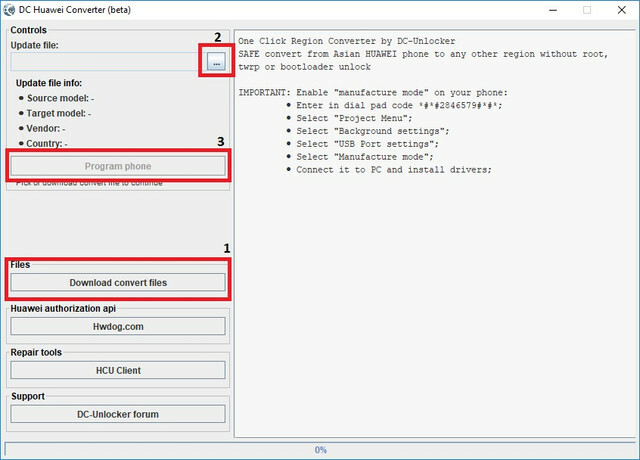 You can convert from single to dual on HCU tool - https://hcu-client.com/ it has such option on repair tab. Nope. I left it untouched for three days and tried again, no response and nothing in device manager. Also it does not have any led's or visual indicators of charging. The app log suggests something failed with boot+recovery but that fastboot supposedly succeeded. Assuming that fastboot did actually flash ok, should fastboot be able to work independently of boot or does it depend on it somehow? Hey just requesting the option for the Honor 10, looking for the Chinese version of the COL-AL10 to the Global/EU version COL-L29. Since I didn't receive my phone until Huawei had stopped releasing the unlock codes I am stuck in a bad place. I am stuck on 2G or wifi. Help? Thanks for all your awesome work guys you are the best! Last edited by ashinchor; 2018-08-02, 09:25 PM. and pls if you can add Huawei "p20 pro"